Paye has been on RDA since 2004. She has worked in different offices in the Bay Area. 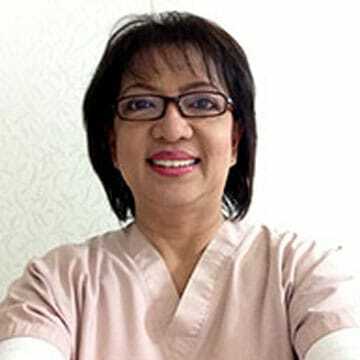 She loves being in this profession and has been a dentist in the Philippines for 12 years before coming here in the US. Paye makes sure that our patients are satisfy with the assisting and polishing of the services rendered making sure that she gives the patient a really smooth and shining smile when they leave the office.